Geoffrey Bourne has used this product for one month. 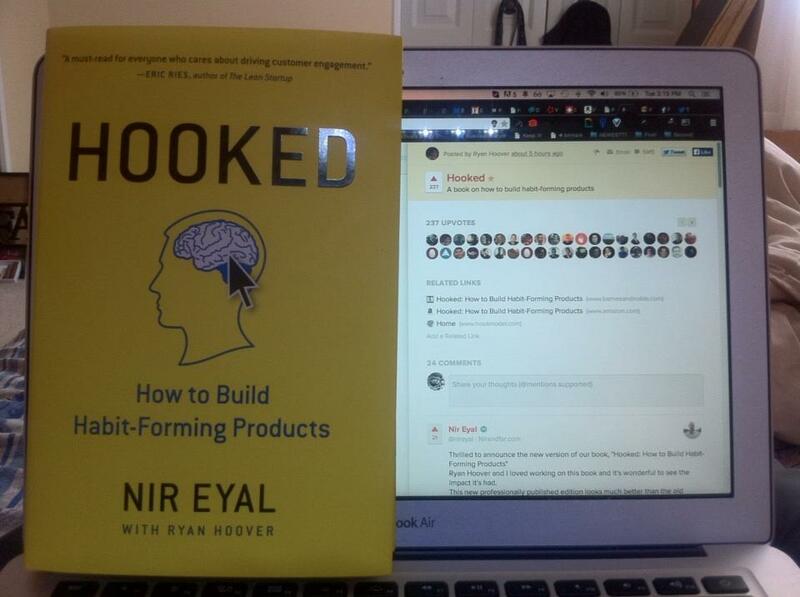 @nireyal @rrhoover Great work guys! I have been working on a similar project myself for sometime and when I looked for experts in the field Nir's name showed up quite often, and the rest, as they say... is history. One of my friends was able to lend me his copy and I was suprised at how well studied Nir is and his content as there were points even I didn't notice in my personal studies. I believe you're even on GrowthHacker.tv and couple great places on the internet. And Ryan, your contribution to this was definitely awesome. Nir I had sent you a msg earlier and I think I was able to grab a Dec/Jan appointment (wish it was sooner) with you regarding a startup project I'm working on (R&Ds) that could use your and Ryan's expertise. Oh and I just bought the book so I can have my own copy, will wait for the bonsues :) Excited! @nireyal is the bonus content only for hardcover orders? I preordered on iTunes and just downloaded it this morning. Really looking forward to sitting down with Hooked tonight after work! @nireyal current owners get the new version? What I love most about Hooked is its simplicity and depth. Highly readable and equally thought-provoking. I'd be curious to read case studies of new products that were built explicitly using the Hook framework. Hooked is an incredible read. By far the best book I've read about product design.